As more people seek an active, healthy lifestyle, the sport drinks sector is continuing to grow and expand at a fast pace. Beverage companies are focusing on creating new drinks and modifying current drinks to reflect today's more health and wellness focused society. As the beverage industry continues to change, five unique companies stand out as leaders in the healthy sports drink industry. BodyArmor is a premium, sports drink containing electrolytes, coconut water and vitamins. The drinks are low in sodium, high in potassium and contain natural flavors and sweetners. The company launched BodyArmor Lyte in 2017 which has the same nutrients as BodyArmor Sports Drink but is naturally sweetened and only contains 20 calories per serving. In 2013, Kobe Bryant acquired a 10% stake in the company for $5 million. In 2016, Dr. Pepper Snapple acquired a 15.5% stake in the company for $26 million. In August 2018, Coca-Cola acquired a minority stake in the company for an undisclosed amount. Berri Fit is a plant-based, USDA certified organic fitness drink with no synthetic additives, no chemical electrolytes, and no artificial sweeteners or flavors. Berri Fit drinks contain 30 calories per serving and are sold in a four pack for $12.00. 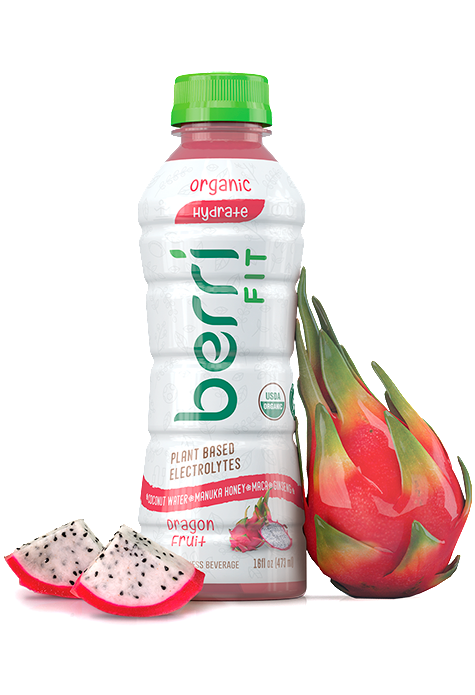 Berri Fit drinks are made with all USDA organic ingredients, including: organic coconut water, maca herb, manuka honey, ginseng herb, agave nectar, maqui superberries, vegetable glycerin, and sea salt. In 2017, the company received $2.15 million in seed round funding. Protein2O makes low-calorie, low carbohydrate protein water appealing to people who want to build lean muscle or recover from exercise. 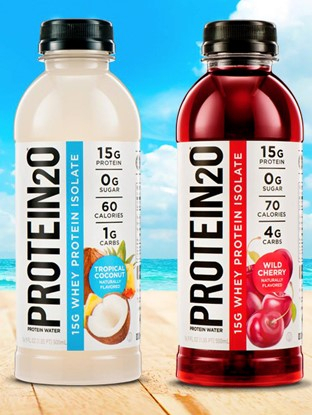 Protein2O comes in 9 flavors ranging from 60-70 calories per bottle with 10-15 grams of protein per bottle. The drinks also contain 110% amino acids. Protein2O is preservative free, GMO free, and naturally flavored and sold at Sam's Club, Target, Walmart, Amazon, CVS, RiteAid and other retailers. In March 2018, the company received $4.25 million from an angel investor. SOS Hydration, founded in 2013, provides hydration drink mixes enabling professional athletes and others to rehydrate quickly and effectively. 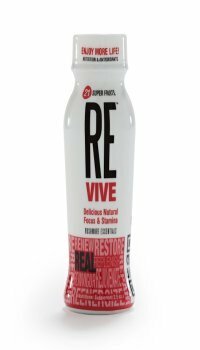 The drink mixes are 25 calories and contain electrolytes with 75% less carbohydrates maintaining a balance between sodium and water in the body. 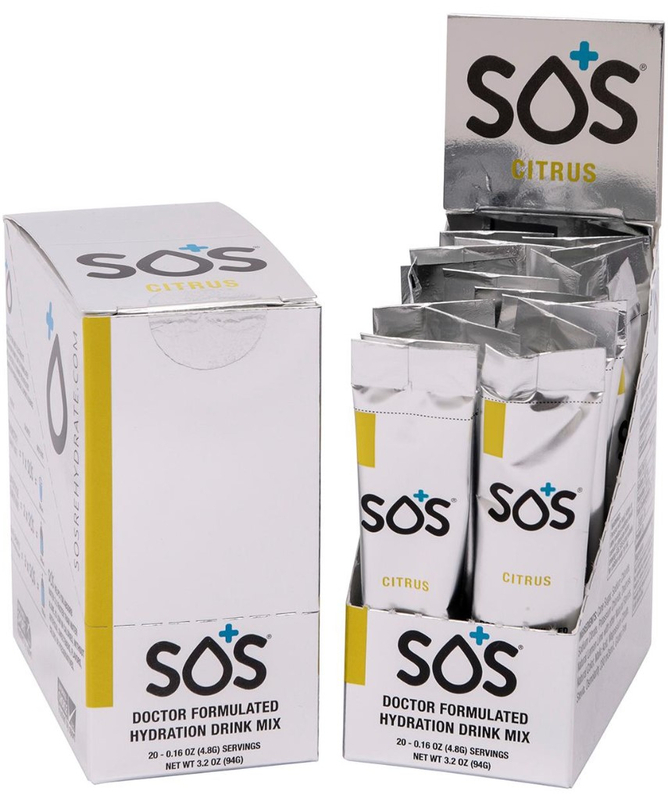 SOS Hydration mixes create a hypotonic drink when mixed with water which makes it more effective than an isotonic drink or sports drink. The company has raised an undisclosed amount of venture funding from LSG Holdings. Rushmore provides 2.5 oz. natural energy shots that enhance focus, concentration, and brain function. The energy shots are a blend of 21 all natural super-fruits, biotin, ginseng, and green tea. Rushmore energy shots are 48 calories per shot and do not contain any preservatives or added sugar. Rushmore energy shots are currently sold at Sprouts, WholeFoods, Ingles, and Amazon. Check out our industry analysis - "The Plant-Based Revolution" - for more information on the increasing popularity of plant-based foods and a comprehensive Nielsen presentation on industry trends. Interested in Becoming an Industry Advisor? Silverwood Partners is actively expanding the firm’s Industry Advisor team. If you have an interest in becoming a part of the Silverwood team in a deal-oriented advisor capacity, please contact Jonathan Hodson-Walker directly. For more information on the Silverwood Industry Advisor opportunity, please click here to learn more. We look forward to hearing from you. Silverwood Partners provides expert M&A and private placement capabilities to public and private companies in the technology, consumer, and healthcare sectors. Silverwood uses deep industry knowledge and relationships within its focus industry segments to provide high quality, responsive transaction capabilities.